We provide a high level of support for all clients. 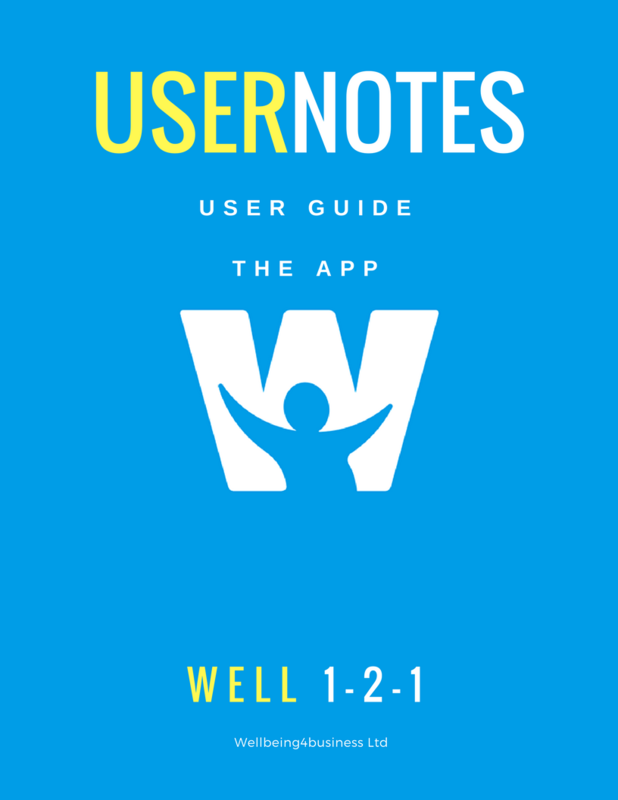 Take a look at our user guides to ensure that you get the most out of the app. If you have an Apple device you can sync with the Apple health app – select the things that you wish to sync with and they will be automatically be uploaded to Coach. Please note that you must enable your app to sync with the app or your data will not be automatically synced. You can do this in your phone settings under Privacy. If you don’t use any apps consider using one or simply set up trackers so that you can enter data manually. 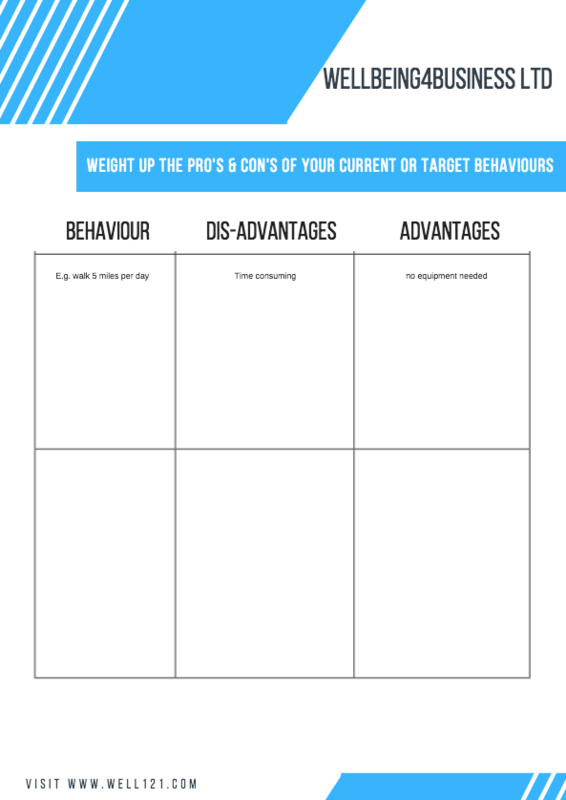 Making the most of your Log will optimise your tracking and data entry. In this section, we will cover: Setting / editing trackers, using your calendar, entering data, serving guide and viewing data. 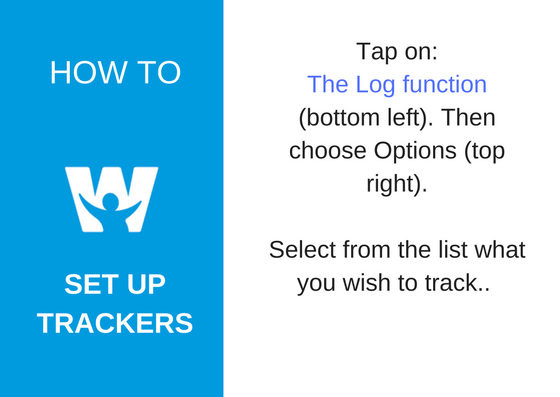 Setting trackers Your may have already set trackers when going through the sign up process, if so this is will show tell you how to edit your trackers. Click on the Log section of your app. Tap on the options button, this will show your available trackers. Select what category you wish to track by tapping on the circle next to the topic you wish to track. 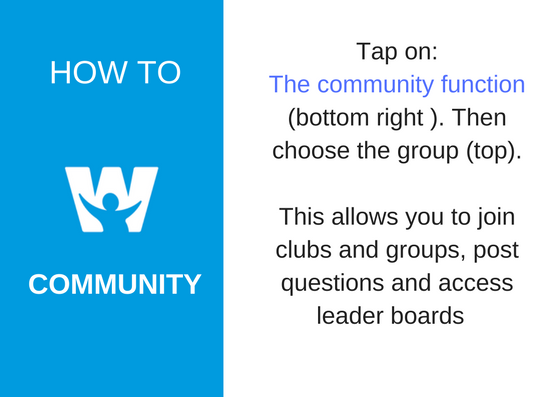 You will then be given topics to choose from within that category. tap on the ones you wish to track and then move onto the next category. When on your Log. Tap the calendar icon in the top left of your app. From here you will be able to scroll through each month by using the arrows at the top of your app. You can then select the particular day you wish to view. This will then open your log for that day. On your Log, tap on the circle below what you wish to enter data for. use the + and – to enter the data you wish. Finish by tapping the yellow tick icon. Serving sizes To view your serving sizes tap follow the steps you would do in order to add data. when using the + and – at the bottom of your screen tap servings guide. This explains what quantity constitutes what serving which determines what data you enter. Viewing your data To view your data when using your Log page. Tap on the category name that your recording e.g. hydration and then it will show you your data for the day and also a bar chart showing the last 30 days, which is colour coded with our traffic light system. Your Well 1-2-1 score is a 30-day snapshot that reflects your overall health. The number is determined by the four sections surrounding the number: Nutrition, Sleep, Activity and Hydration. The score is out of 100 and each section replicates a percentage of that score. for example you will not receive the highest score possible by just excelling at activity. All four areas would need to be as good as they can get. For the first 30 days your number will only get better. Use this as a motivation tool, it will encourage you as you see the reward for your hard work. After the first 30 days are over the number will fluctuate daily depending on how well your doing in each of the 4 areas. Aim to maintain your score or build on it to make progress. Understanding the traffic light colour system. The whole app is programmed to give you a quick and visual representation of your current health data by using a traffic light colour system. 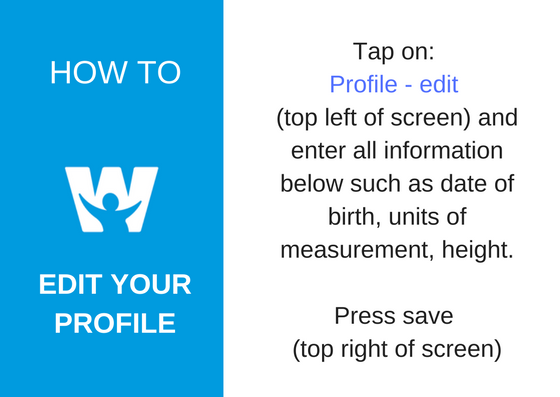 The colours appear on your log, profile and any graphs you may find on your profile. 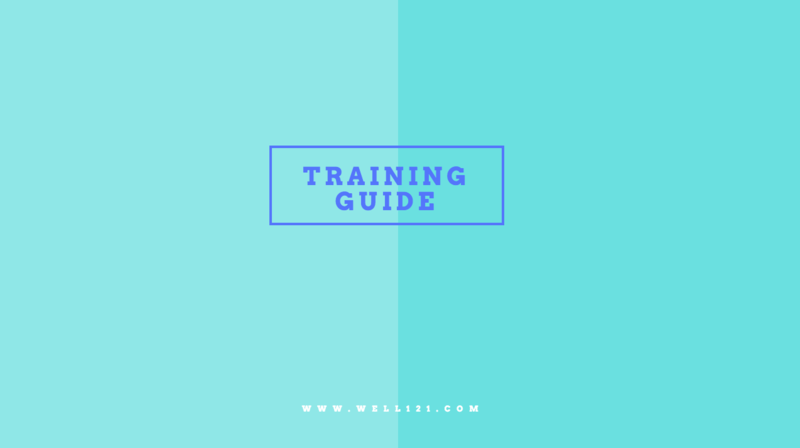 Each area has different guidelines as to what constitutes a certain colour being displayed. To find out what those guidelines are, read our how-to titled “colour ratings”.As a general guide here are the colours and their meanings. Green – Great work ! You are meeting the recommended guidelines for this area. Amber – Almost there ! You’re almost meeting the recommended guidelines for this area. Red – Keep going ! You have some work to do in order to meet the recommended guidelines. You should be aiming to finish the day on as much green sections as possible. The score is a 30-day snapshot which is scored out of 100. For the first 30 days the colours surrounding your score will change according to your overall score. If the colours do not change after a short period of time this is because your overall score has not passed a point that warrants a change in colour. Be patient though it takes time to build up that score and get that change of colour from red to amber and then to green. Over the first 30 days we recommend you focus on increasing your Nudge score as much as possible and watch the colours change as you improve the score. As a motivation exercise, aim to finish your first 30 days with all green surrounding your WELL 1-2-1 score. 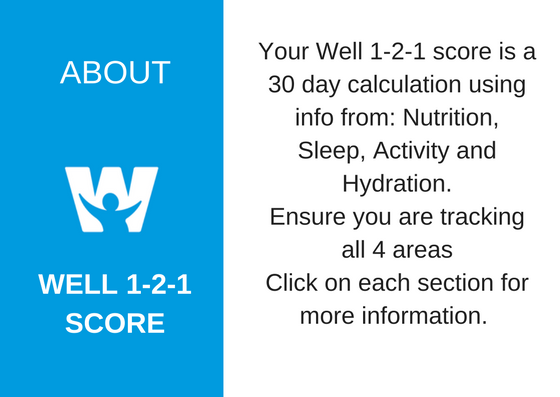 If you require more information on your WELL 1-2-1 score read our information titled “Understanding your WELL 1-2-1 score”.